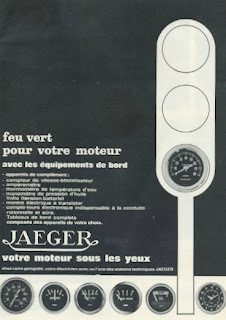 The Jaegertableau in Peugeot 204, 304, 404 and 504 is not very often seen! 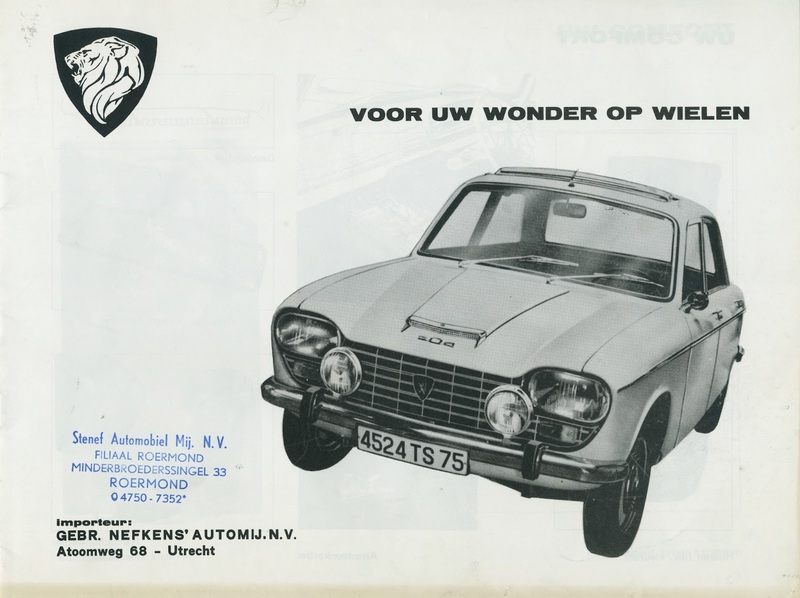 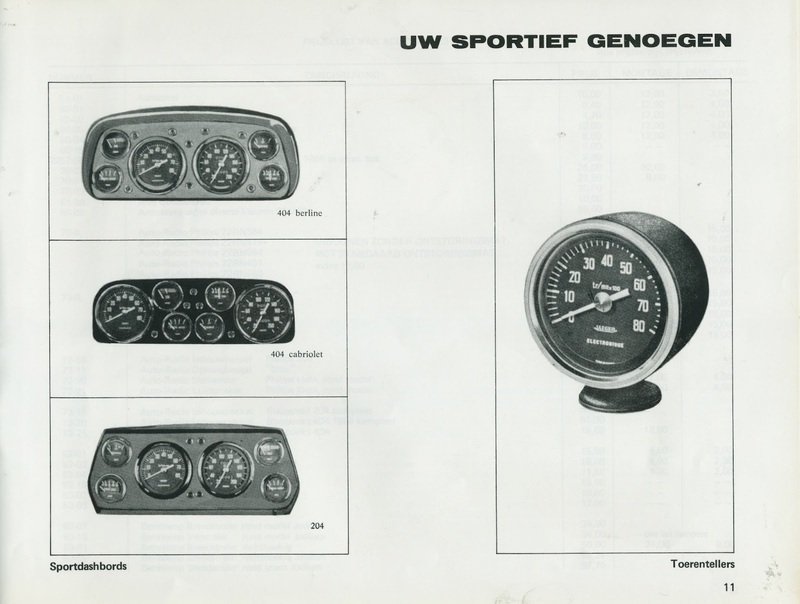 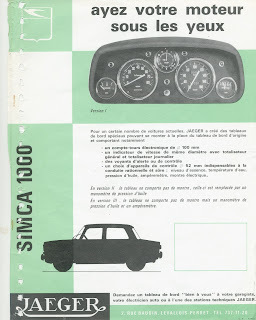 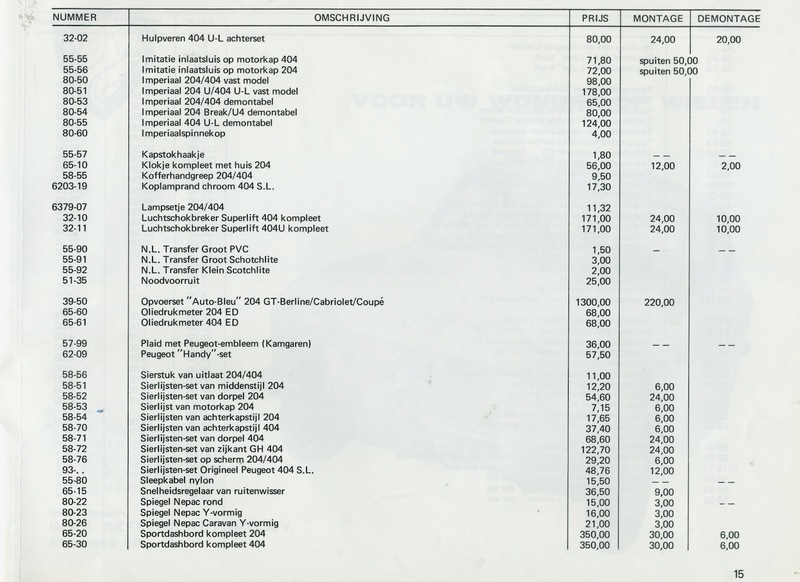 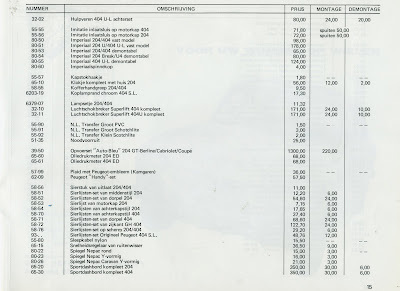 Today I recieved a dutch brochure of accessoires for the Peugeot 204 and 404 with 3 tableaus (Peugeot called the tableau: sports dash) with order number and the price, also for installation and removal! 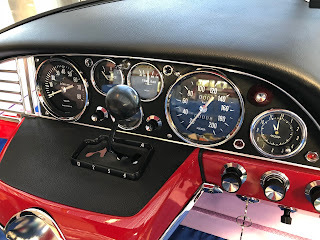 Thanks HJ!